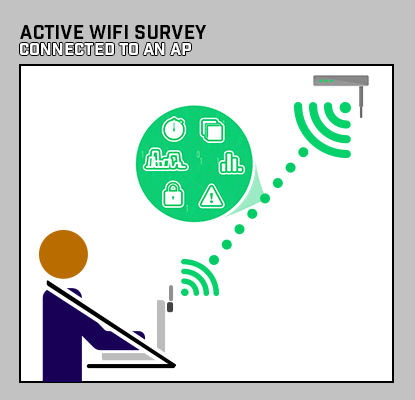 A passive WiFi survey is when the surveying device is not connected to any WiFi network and is only listening to the WiFi environment. Typically, the software used for these surveys is configured to scan specific channels and WiFi networks in order to measure signal strength and noise levels. 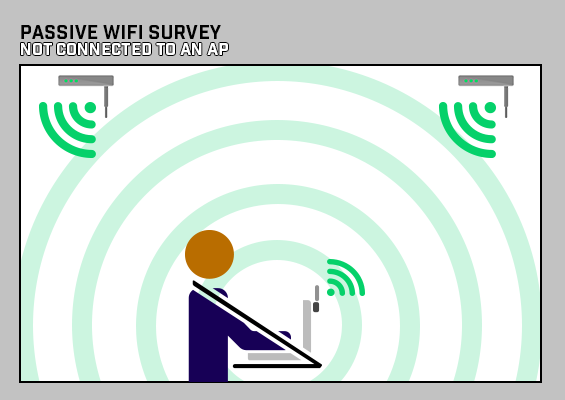 Active and passive surveys are used to collect WiFi information about a wireless environment to better understand where to strategically place access points (APs) during pre-deployment. Pre-deployment verifies the performance of a few APs before the entire network is installed. Additionally, active and passive surveys can be used during post-deployment as verification for a newly installed network. They are also used for periodic checks to ensure the network is still operating at the required level.